The most affordable way to go by car to Poland from Sweden or Norway is via Karlskrona to Gdynia. Stenaline operates the route and three departures per day are available. 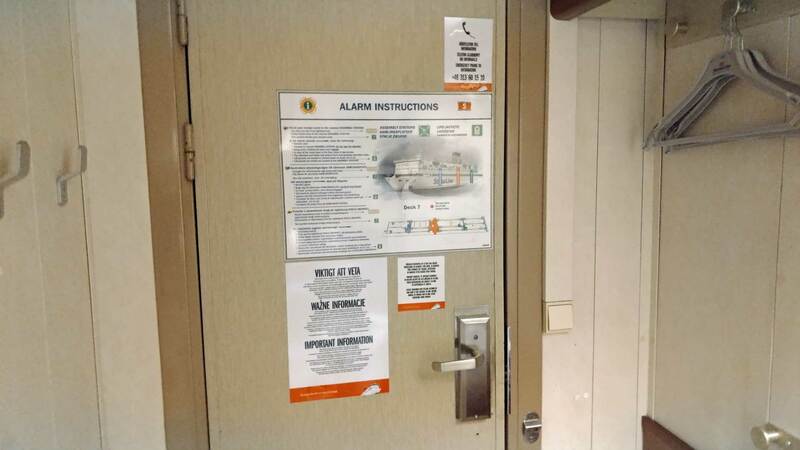 What happens on board and what can you do on the boat? 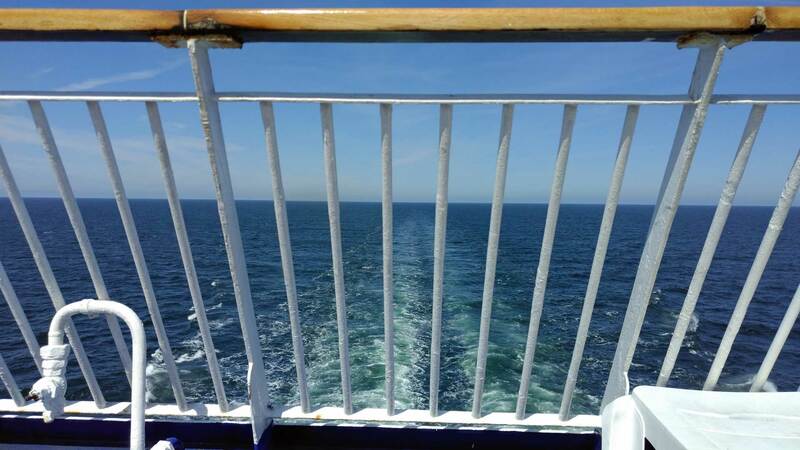 From Karlskrona or Gdynia, Stenaline runs three hours a day. One is daytime and two are overnight. 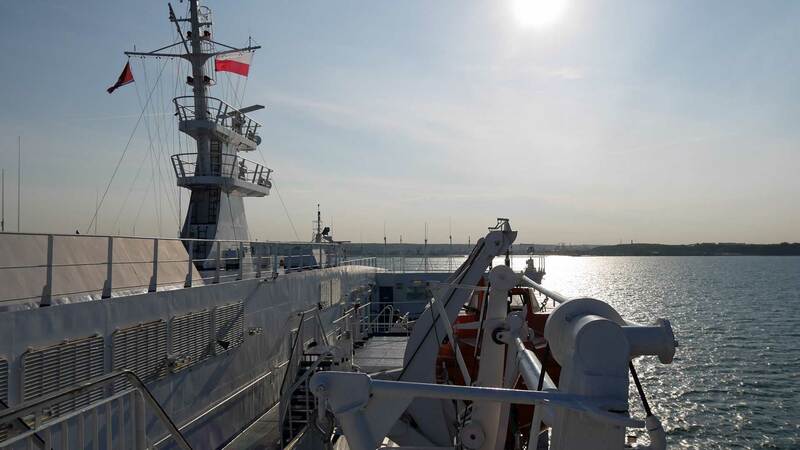 In this article, it is early morning and the day trip to Gdynia with Stena Spirit will soon resign. At least one hour before, passengers with vehicles must be checked in. It is crowded in the car lane that is enclosed by lorry drivers waiting to drive on board. 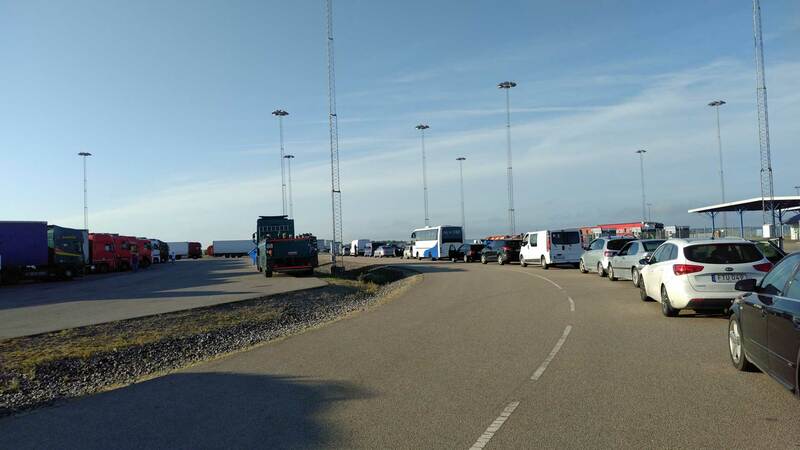 Queue in Karlskrona port to check in. 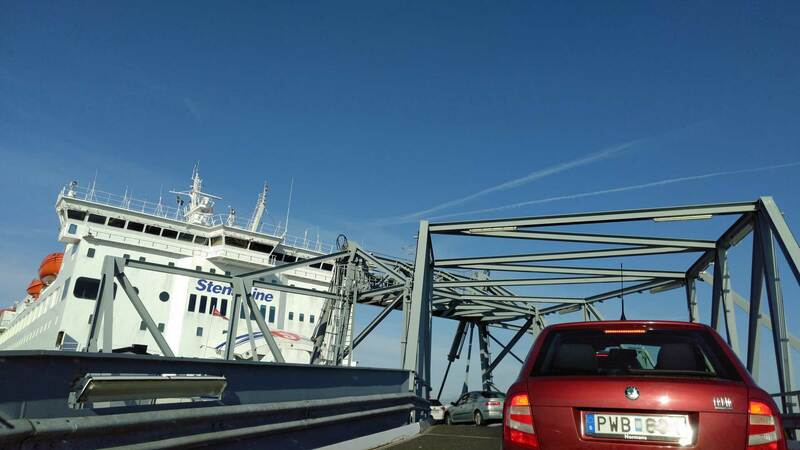 The route Karlskrona – Gdynia is an important route for goods, so the boarding takes some extra time because the trucks and their weight must be distributed first before the cars can drive. The staff does a good job of organizing the vehicles on two and a half floors. It’s not as crowded as on the boats to Germany. Now it’s almost 12 hours on board before you can drive off in Poland. Enough space, but the heat is striking. The route Karlskrona – Gdynia has in recent years been presented as a leisure route, but it’s far left comparing to classic cruises. But some entertainment is of course available. One recommendation is to book the affordable buffet breakfast (7 euros/adult, 3 euros/child), which is useful after a long drive. 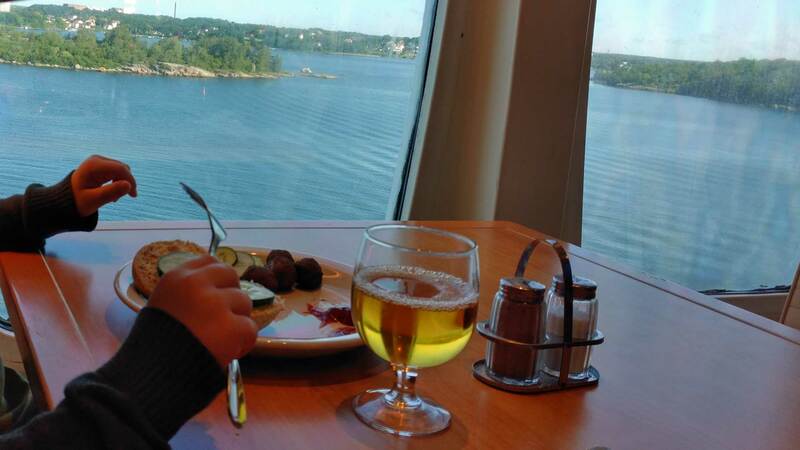 Then there is a beautiful view as the boat sails through Karlskrona archipelago. The breakfast opens at 08:30, which means that the lunch buffet at 12:00 is a bit too early. 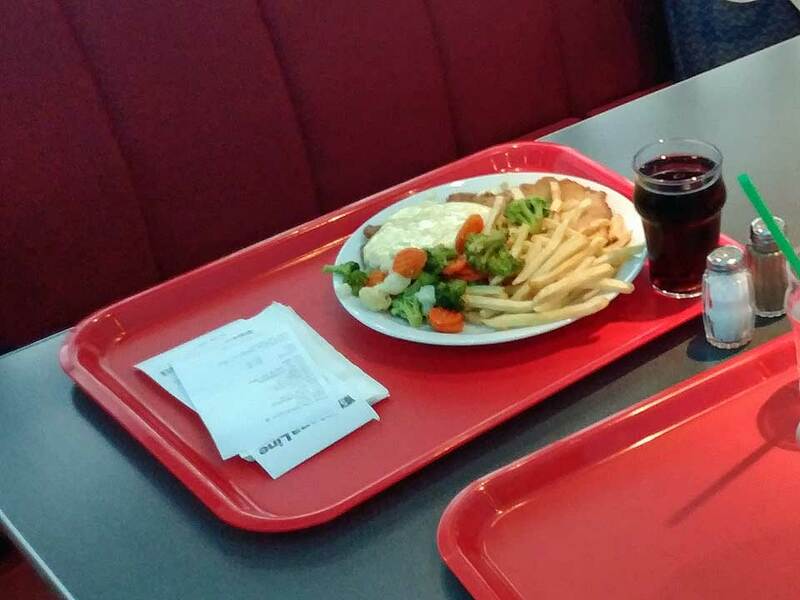 If you choose the buffet lunch as an adult it will cost 9 euros. The dining room serves breakfast, lunch and dinner buffet. After an hour, you have already gone “all-in” at the breakfast buffet and it’s time to kill another couple of hours. 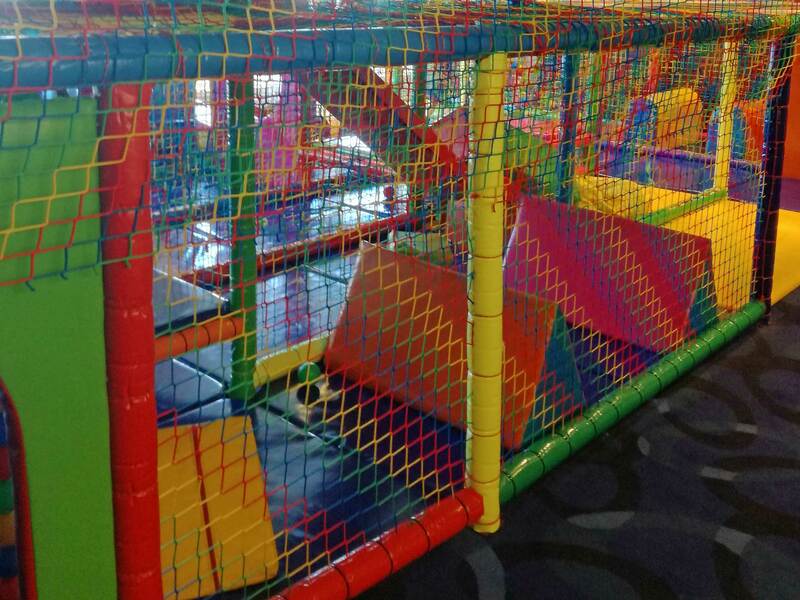 If you have children with you, the play area is attractive. The focus is on young children with restless legs, but for an older child, there is also a dedicated room with video games. For smaller ones, there is a playland and a puzzles room. In the puzzles room, there are sometimes visits by Polish-speaking staff who helps the children to play. 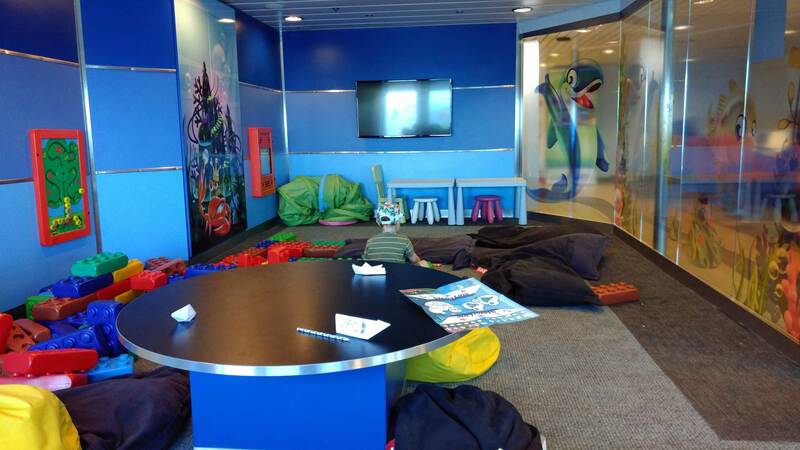 Slush and other high sugar foods can be found in connection with the play area. Tired parents can watch Polish and Swedish TV right outside and there is also a cafeteria. A bonus is that Stenaline’s mascot “Happy” meet the children at the boarding and hand out pens, candy and some puzzles. There are different bars on board. 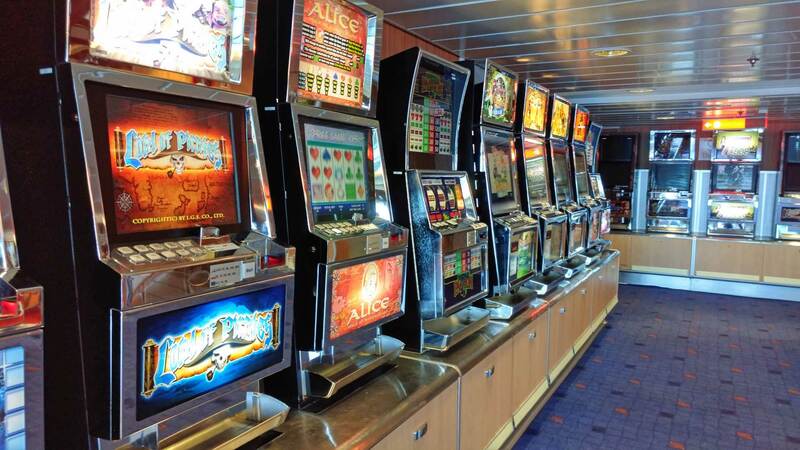 A casino offers a wide range of gaming machines such as the classic Lucky Ladies Charm. Perhaps the trip pays off? The shop on board has a well-stocked collection of stronger drinks, but also toys and other gadgets. The size of the shop is similar to those on the boats to Germany. Prices are set for those who are not planning to step off in Poland. This means that alcoholic beverages are cheaper on the boat than in the Swedish mainland, but far from as cheap as in a Polish supermarket. 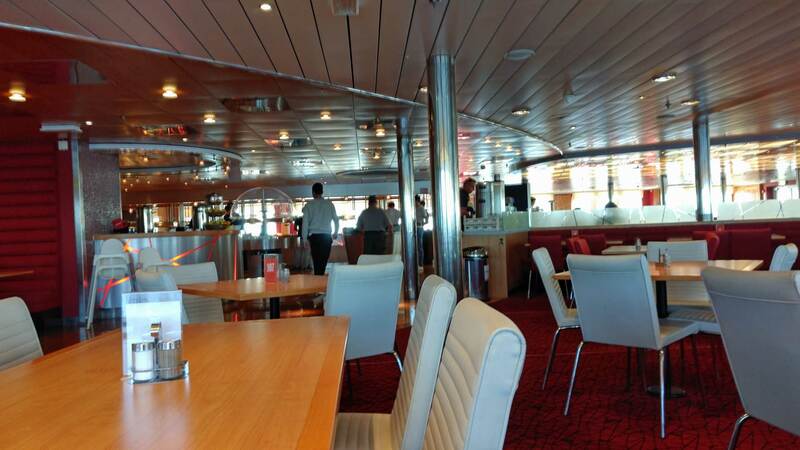 Sundeck at the top of the boat gives relaxation on sunny days and even here is a bar. 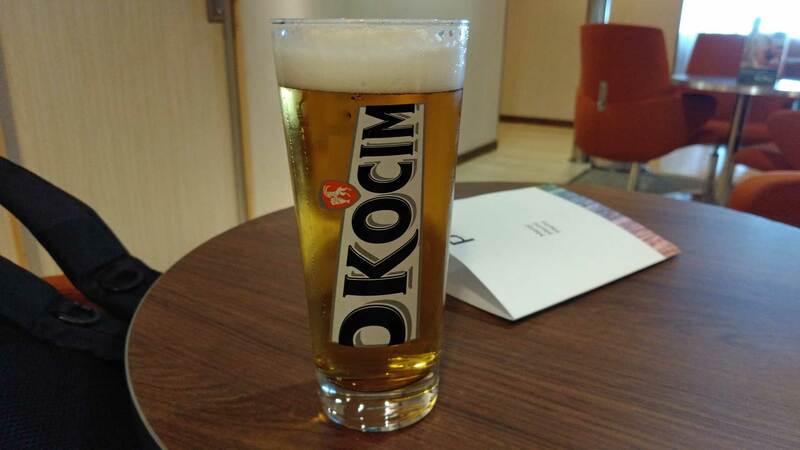 The price for a beer of standard size is 3.5 euros. The need for a cabin on the day trip? There is, of course, a possibility to book a cabin even for daytime departures. It’s individual if you think it’s worth the extra cost. This means an additional cost of about 50 euros and up. It is also possible to rent the cabin on board if you become tired. The few reclining chairs available are occupied very quickly. In the afternoon you can enjoy a dinner buffet or simpler dishes, while Tri-city (Gdynia, Sopot, and Gdansk) will show up. 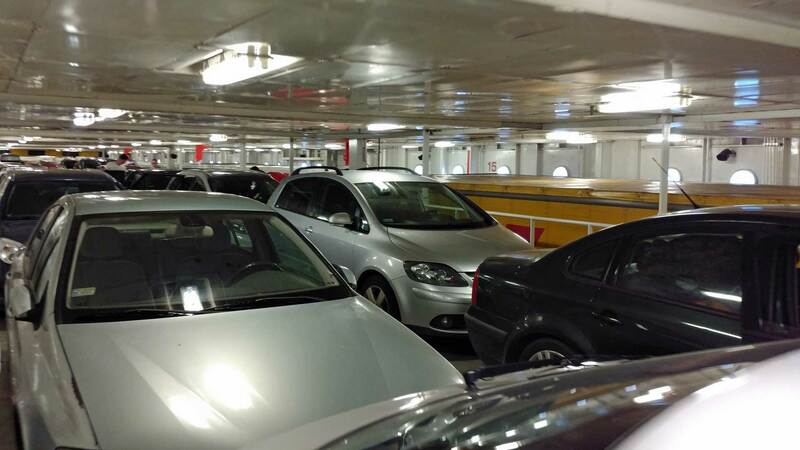 The car deck opens 10 minutes before arrival. The heat on the tire is unbearable, so expect most car engines running while waiting, including your own. The poorer variety of dinner. When the boat arrives at 19:30, it’s not many minutes before heading out on the Polish highway, where the speed limit is 140 km / h. Hopefully, you will not have far to your hotel room for the night. 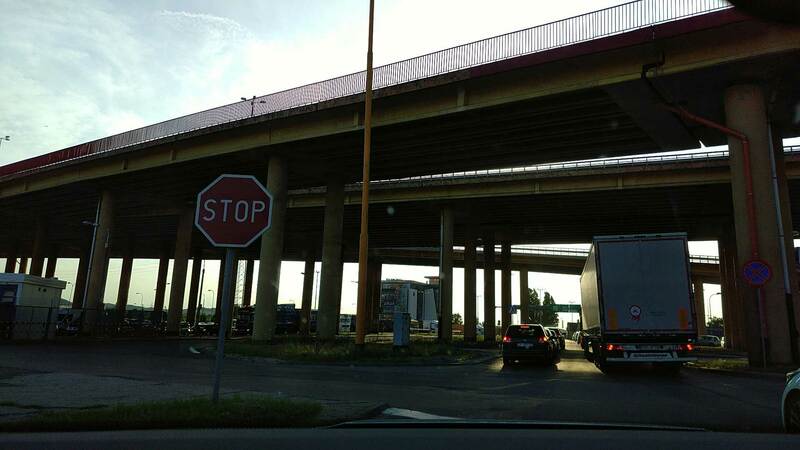 Those going to Gdansk have about 35 kilometers in usually very dense traffic. The highway to Gdansk above. Next article What Does Lenin Point To?